If you are running a Facebook page for your restaurant and want it to be popular with thousands of fans, surely you’ve realized you have to make it unique and interesting. 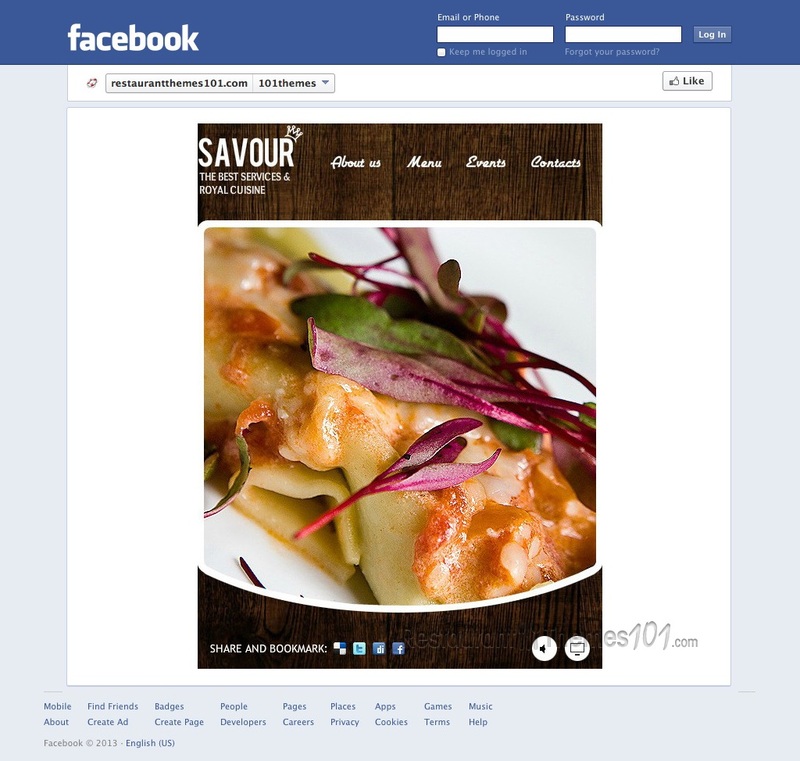 Plain pages aren’t attractive any longer, and a good Facebook restaurant page template can be a life saver. Template Monster features Savour, a pretty little template created by Pearl. 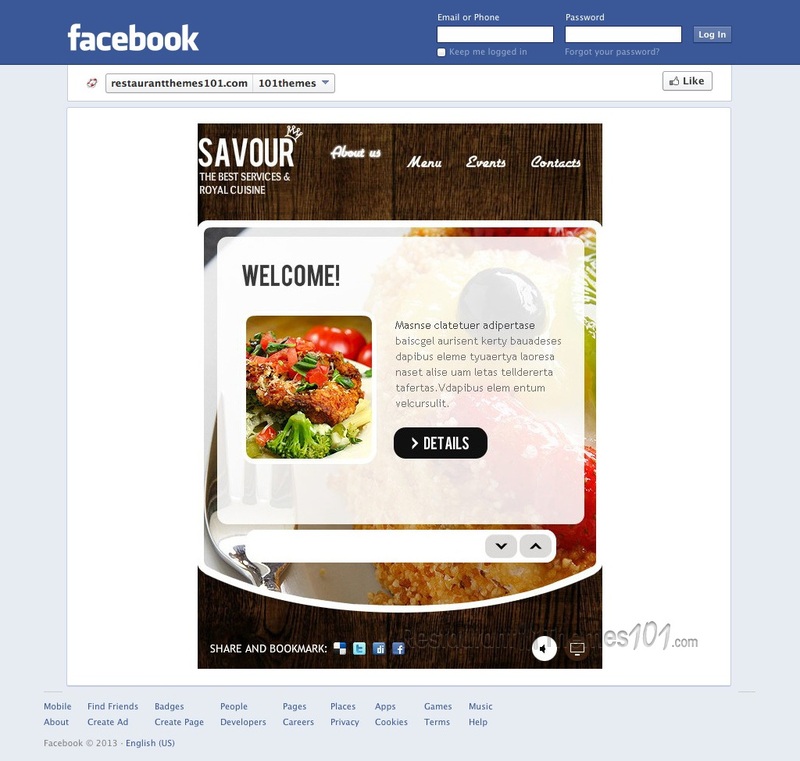 Savour features an attractive layout with nice colors and a pretty patterned background. An amazing looking slider spreads across the whole front page, making the perfect spot for showcasing quality photos of your delicacies. The slider is a real attention grabber, so all you need to do is make sure you place mouthwatering photos of your dishes and you can be sure everyone is going to crave them as soon as they spot the photos. 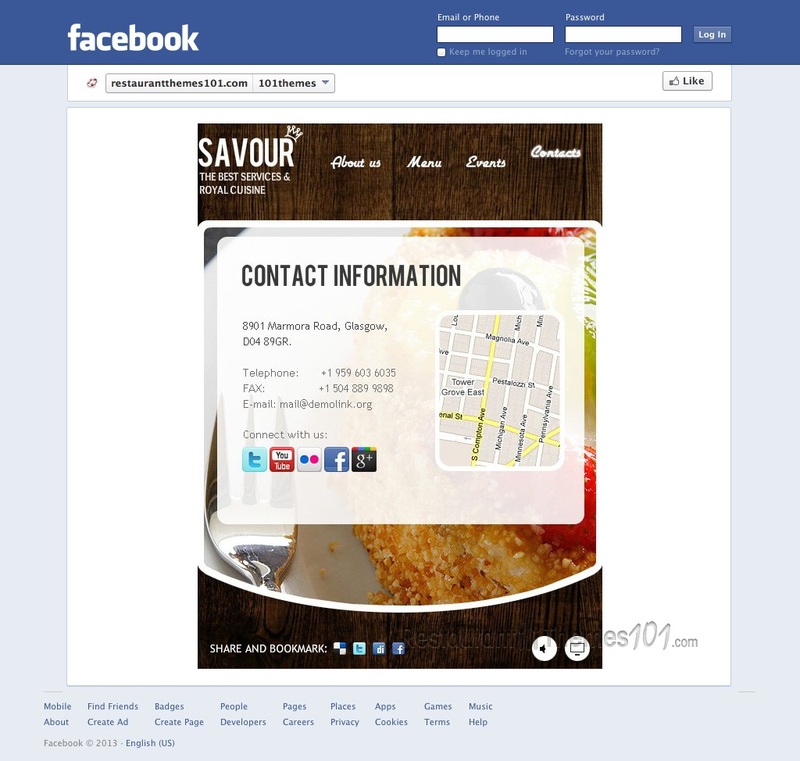 The template contains four sections: about us, menu, events and contacts. 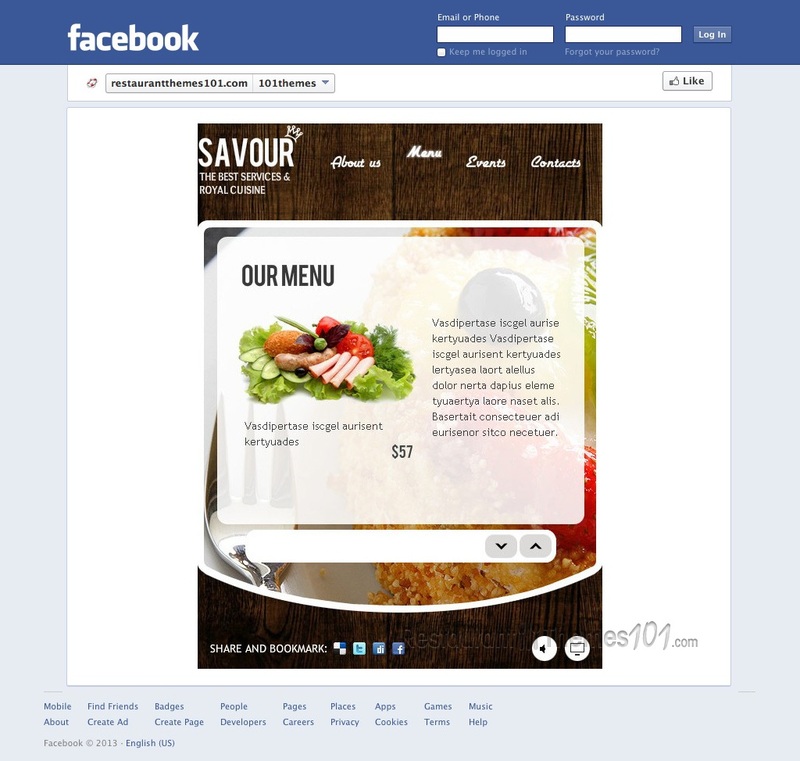 Each one of them was specifically designed to give you as much content space as possible for presenting your restaurant in the best way possible. The “about us” section is there for you to tell your guests a little more about your restaurant, its history and the services you provide. The menu opens up in a slider form, with the possibility of adding a photo for each dish, along with prices and short descriptions. Savour features a separate section for announcing your events. You can post photos of your past events here and announce any upcoming ones by including dates, detailed descriptions about the events, and photos. The contacts area reveals Google Maps integration with a small map placed and your restaurant’s location pinned to it, so everyone can find your place easily and quickly. A simple contact form was also added for easy and quick interaction with your guests. Your Facebook page can be shared to other social networks with cute buttons added, and this will give you a lot of free publicity.